Field service and maintenance specialist, CP Automation has opened a new business specifically to handle the repair and sales of specialist motors, notably AC and DC servos. Called Euroserv, the new business will also deal with associated products such as inverters, resistors and encoders. The Tyne & Wear based business has already established client relationships with companies including Nissan, Rolls Royce and SIEMENS. The new business is a source of mechanical expertise, which complements CP Automation’s existing in-depth understanding of electronic boards, PLCs (Programmable Logic Controllers) and AC and DC drives. The business was deliberately located in the North East in order to be close to customers and to tap into the expertise of key senior appointments in the area. On an ongoing basis the management team feels that the region offers the correct mix of available skills to allow for expansion of the business. 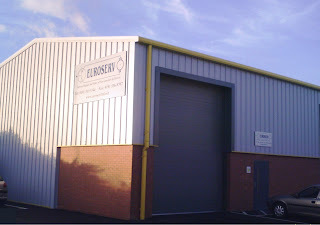 Opening Euroserv entailed the creation of two new jobs in the local area as well as the deployment of some existing CP Automation staff. The services offered by Euroserv include Megger testing of power output and input stages using a unique range of techniques for voltage leakage and short circuit testing. The company also offers V-I testing on all power devices for open circuit and temperature failures. Another service is the replacement of all power section, low voltage, high frequency electrolytic capacitors with 105C high performance low ESR units. Motors are also cleaned to negate the effects of dust contamination. Another option would be load, functionality and soak testing on an appropriate motor in industrial machine simulated conditions for extended periods of time. Repair and replacement projects have already been completed on AC servo motors, DC servo motors, geared servo motors, AC brushless servo motors, AC spindle motors, router motors, standard motors, high frequency AC motors, DC shunt motors, printed circuit motors, tachogenerators and all types of resolver.